The Sea Dogs were unable to pick up their first win of the year on another blustery 32-degree day in Binghamton. Mike Shawaryn got the start, allowing a pair of runs on five hits in 4 2/3. He struck out three without issuing a walk, but he was not particularly efficient, needing 87 pitches to get through the second out in the fifth. At the plate, Cole Sturgeon drove in a run and picked up two doubles out of the leadoff slot. Josh Tobias was the most consistent performer for the Sea Dogs on opening weekend, going 1 for 4 Sunday to complete a 4-for-11 series. Saturday's postponement led to a Sunday doubleheader in Salem, and the Sox and Astros needed extra frames to get through both contests. 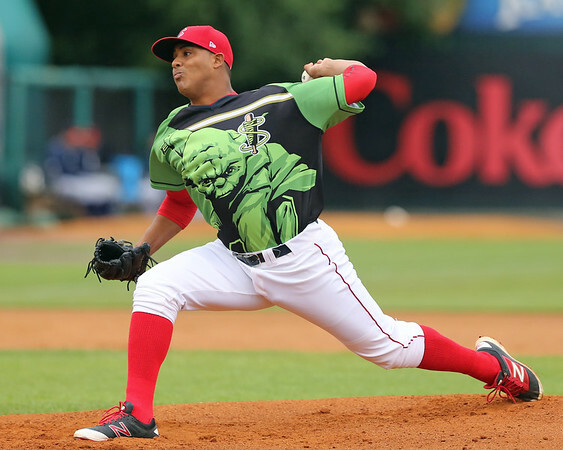 There has been a lot of buzz this offseason about Darwinzon Hernandez, and the lefty was excellent in his 2018 debut, going five scoreless innings and allowing just two hits, striking out six against three walks. Matthew Gorst continued the shutout through the seventh, but the Astros "reached" him for a single decisive run in the eighth. With the runner placed automatically on second base, Gorst threw a wild pitch then surrendered a sacrifice fly, taking the loss before surrendering a baserunner, which is much better for player development than just calling a tie. The Red Sox won the nightcap when Brett Netzer started the eighth inning on second base, followed by a Bobby Dalbec fly ball that moved him to third and a Ryan Scott single, which is totally a better and more fair solution than either playing baseball by normal rules or just calling the game a tie. Salem pitching was outstanding in the contest, surrendering only two hits. Hildemaro Requena got the spot start, allowing a single unearned run on only one hit in four innings of work. Jordan Weems and Algenis Martinez then threw two shutout innings apiece, with Martinez getting credit for the win. Scott drove in both runs for Salem. The Greenville offense turned in a solid performance in its doubleheader opener. Everlouis Lozada (pictured, right) was a catalyst for the offense, going 2 for 3 with a double, a walk, and three RBI. CJ Chatham continues to work at putting his lost 2017 campaign behind him, going 2 for 5 with a double. Cole Brannen also doubled for the Drive. Hunter Haworth got the start, allowing three runs on four hits in three innings, walking four and striking out two. With the game tied through regulation, West Virginia started with a man automatically on second base. The rest of the inning went, as follows: sacrifice bunt, intentional walk, walk, and walk-off sacrifice fly, giving the denizens of Appalachian Power Park a great first look at the thrills sure to come with the new extra-inning rules. Despite the lopsided score, some good news in the nightcap was that it was the only of the four doubleheader contests not decided through cockamamie extra-inning rules. The offense had another solid performance, with Lozada picking up another two hits, giving him four on the day and six already on the season. Chatham notched another base hit, and Pedro Castellanos was 2 for 4 with a triple and a pair of RBI. Player of the Day: It was a close call that could've gone Darwinzon Hernandez's way, but the pick goes to Everlouis Lozada for his performance reaching base five times in the Greenville doubleheader. Lozada's four hits included his first double of the year, and he added a walk and three RBI. The 19-year-old product of Venezuela also made his first start at shortstop in two seasons since coming stateside. 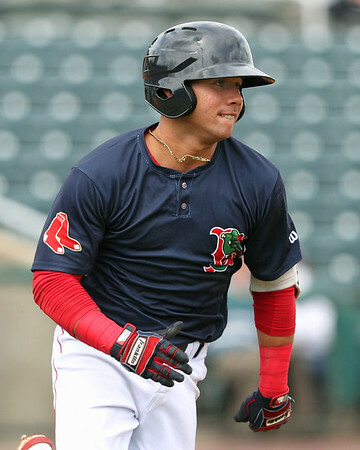 Lozada was almost exclusively a third baseman in his time split between the Gulf Coast League squad and the Lowell Spinners last year, with 11 innings coming at second base.